Looking to upgrade to a new vehicle? 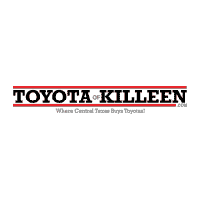 At Toyota of Killeen we have a full stock of brand-new Toyota vehicles, from the popular Camry, to the adventurous Highlander, to the efficient and practical Corolla! When you shop with us, you can also take advantage of our selection of new vehicle exclusive specials and offers. Explore our new Toyota inventory today, then make the trip from Harker Heights to experience your favorite models in person. Whether you’re a first-time visitor or an established customer at our dealership, we work to provide a car-buying experience that is simple and stress-free. Our friendly sales staff is available to answer any questions you have, whether it’s about financing options, the Toyota RAV4 towing capacity, or the best restaurants in Killeen, TX. Additionally, even after you’ve driven home to Waco in a new car, we hope you’ll come back to our service center for any routine maintenance needs you may have.